Sub Pop Records in Seattle, WA is offering a grand total of $13,000 worth of college scholarship money to three eligible high school seniors. There are three scholarships””one for $6,000 and two for $3,500 each. To apply for these scholarships you must be a resident of Washington or Oregon, and a graduating senior on your way to full-time enrollment at an accredited university or college. We are looking for an applicant who is involved and/or interested in music and/or the creative arts in some way. * What are you doing in the arts/music field in your community? * How and/or why did you become interested in artistic outlets? * Why do you need this scholarship money? * What are your influences and/or who inspires you? * Who are some of your favorite bands or artists? Applicants are encouraged to send digital links and provide hard copies of their artwork along with their essay. However, please be aware that Sub Pop will not return any of this material, so please don’t send originals. 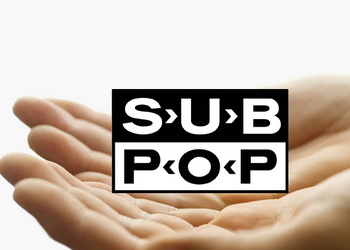 Sub Pop will give equal opportunity to all applicants who fit the criteria outlined above. The deadline for applications is May 1st, please get in touch before then if you are interested. Amount: $6,000 / $3,500 / $3,500 – checks will be made payable to the university or college of the winning applicants’ choice and applied to winning applicants’ tuition.